look for bulbs that are firm without any soft spots. Also, choose the largest bulb that you can find. Once you learn how to grow Amaryllis bulbs, you'll want more than one! How can you find Amaryllis bulbs at a discount? 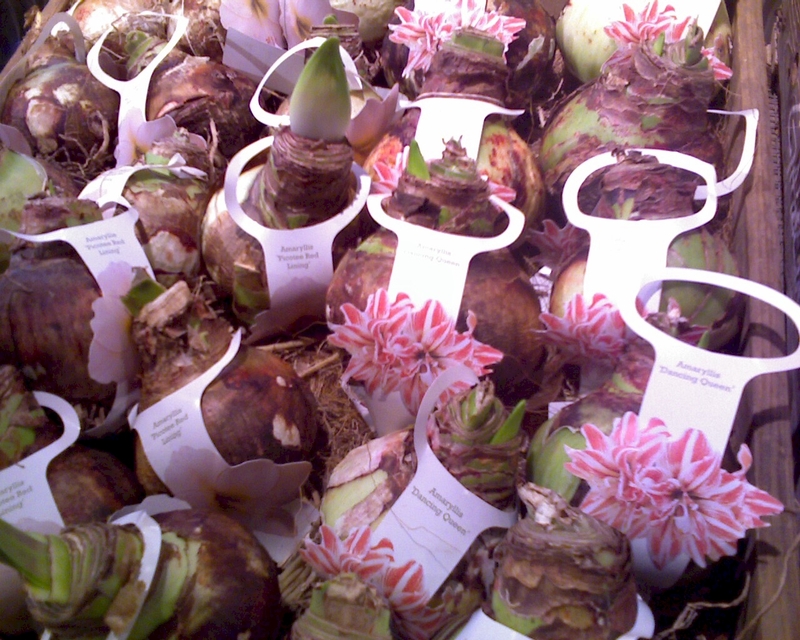 Many wholesale catalogs (find those that specialize in bulbs) will sell amaryllis bulbs in wholesale quantities. This can mean as few as five bulbs, though all will be identical. Go in with your friends, and buy wholesale. Or, pot up the extra bulbs and give them out as holiday gifts. Most retail suppliers online offer an amaryllis package that bundle together one each of the most popular varieties into a discounted package. Again, you can give the ones you don't like as gifts, or keep them all for yourself. Chances are they will all bloom at slightly different times, so you will have an extended display of flowers! Most amaryllis are sold from October through December. Often, bulbs have been especially prepared to bloom around Christmas. Once you are past the holiday season, many garden centers and retailers will try to get rid of their bulbs, especially potted gift kits, at a discount. Also the bulbs will often start budding and leafing out and by then, most people will not want them. The flower stalks can be twisted and stunted from the bulbs being packed together in a display case or in a dark box. This is a great way to build a collection. Even if you forgo this round of flowers, your bulbs will bloom next year.